Israel is embarking on a major archaeological expedition to find yet undiscovered Dead Sea Scrolls, according to an Israeli official. 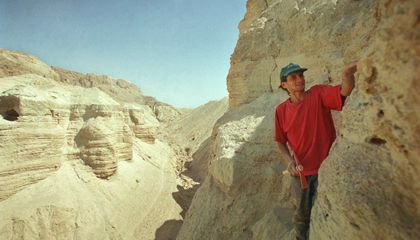 Amir Ganor of the Israel Antiquities Authority said a government research team will spend the next three years surveying hundreds of caves in the Judean Desert near the Dead Sea, the arid region where the Dead Sea Scrolls, the world's oldest biblical manuscripts, were preserved for thousands of years and discovered in 1947. The collection is considered the crown jewel of Israeli antiquities. In a move that is bound to stir controversy, the researchers may also excavate Dead Sea-area caves in the West Bank, Ganor said. Israel captured the West Bank in the 1967 Mideast War, and the Palestinians want the territory to establish an independent state. Ganor discussed details of the project with The Associated Press. The expedition will begin in December and will be funded by the Israeli prime minister's office, Ganor said. The expedition will be the first large-scale archaeological survey of the area since Operation Scroll, an effort in 1993 to find any remaining Dead Sea Scrolls hidden in an area of the West Bank before Israel transferred partial control of the area to the Palestinian Authority. No scrolls were found in that undertaking. According to Ganor, archaeologists also hope to find other antiquities dating back to as early as 5,000 years ago, as well as from the 1st-century Jewish-Roman war and the 2nd-century Bar Kochba revolt, when Jewish fighters battling the Roman army sought refuge in the desert. Last summer, Israel carried out a three-week excavation of the so-called Cave of the Skulls in the Judean Desert, after catching a group of six Palestinian men digging illegally at the site in 2014. The Palestinians were believed to be digging for more Dead Sea Scrolls. In recent years, ancient manuscripts have trickled onto the local antiquities market, and looters are believed to have plundered them from Dead Sea-area caves, prompting the government initiative. 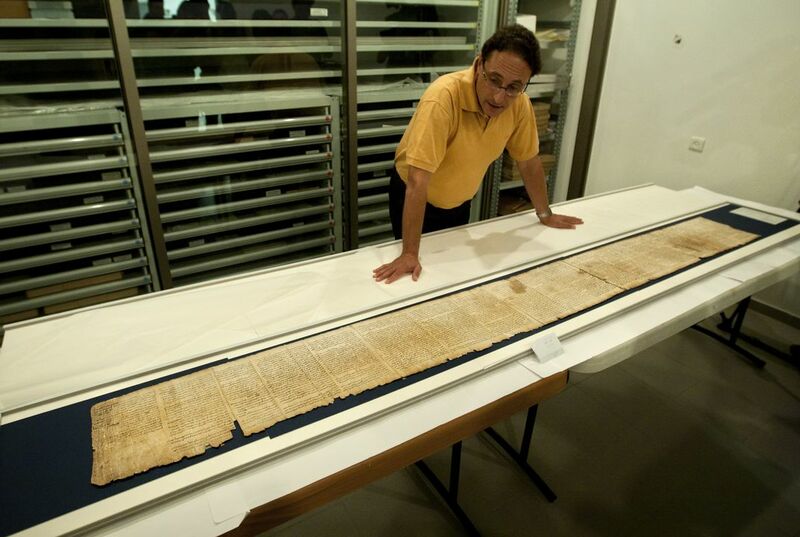 "We know there are more," Ganor said, speaking of undiscovered Dead Sea Scrolls. "Most of the places haven't been reached." Should all children get an outdoor education? Why must experts dig to find scrolls? I think this is really cool! I however would not want to be the one looking for these scrolls. I think it would be cool to go looking for scrolls for about a day or so but for three years! That would be too long for me. I think this is really cool! I actually would not want to be the one looking for these scrolls. I think it would be cool to go looking for scrolls for about a day or so but for three years is outrageously long which I wouldn't be able to handle. I think if they find more scrolls it well tell them even more about the past of there country. Also I think it is going to probably take them all 3 years to find more scrolls. Digging to find the scrolls is necessary because they are buried deep below the ground's surface after years of build up. Like almost all artifacts, the scrolls are not simply just laying around somewhere, but buried into the ground. This is so cool. It's very interesting. I'm glad I know more about this topic now.